Zuri has compiled a list of top 10 gorgeous designer suits that you can get made at an affordable price. So, hurry! Check them out now. It’s the classic conundrum, we love the fashion, but our wallet protests against the strain. With the wedding season going on in full flow, you would be on the look out for that one designer suit which will be your piece-of-resistance for the season. Which is why we have brought you a selection of designer suits you can get made at an affordable price. 1. 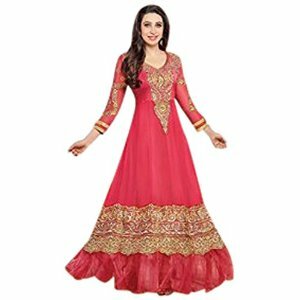 The hot pink floor length Anarkali: Anarkalis are the best pick of this season. The trend is not out yet, in fact it seems to be going strong for a couple of more seasons at least. This floor length anarkali is sure to camouflage any post Diwali weight you may have gained. The embroidery is easy to achieve, and though the gher may require more fabric, you can always alter that to your preferences. It works best on taller people though, because its length can make some of us look shorter. There’s always the option of heels! 2. The black and ombre pink anarkali: The fitted chest of this piece is sure to hug you in all the right places. The embroidery on the chest can be brought down to a more subtle design (thus reducing the amount you spend on it). The gher of the anarkali has two layers, a creamish-beige and an ombre pink. Contrary to popular belief you don’t have to spend a tonne to get that kind of fabric, it has become increasingly more available with your usual tailors. 3. Manish Malhotra anarkali twist: The gold and dark blue creates a classic contrast, that can’t go wrong. The gold top is very low on embroidery, the reason it looks so fantastic, is the cut it has. Figure out a cut that works well for you and mimic that. He golden drape which extends from the top, is a different matter. Pick one that matches exactly with the top and the border of the skirt. For a better edge to the look, add some maroon piping at the bottom. 4. The black and gold anarkali: This one is perfect for a night time reception or a desi wear cocktail party. The highlight of this outfit is the larger than life border of the gher. For a contrast to the look, carry a golden dupatta with black motifs on it. Keep the sleeves free from any extra embroidery, but if you are going for a full sleeved look, you may want to add a little gold to the sleeves. 5. 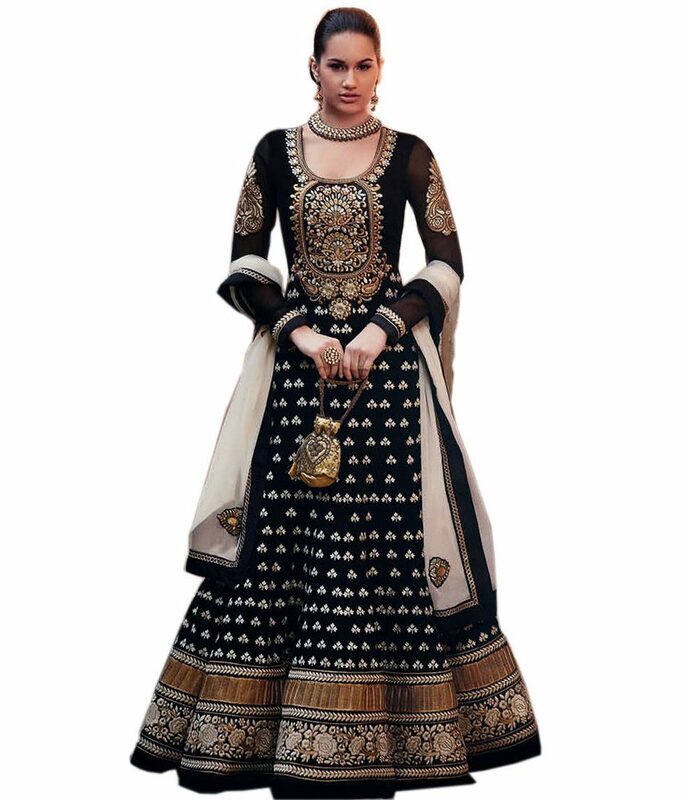 The ornate black anarkali: This anarkali creates a sensation because of detailed embroidery. If you find an embroidery artist who fits your budget, you are set. The work on the torso of the dress is gorgeous, but on the gher, it is fairly simple. To cut costs you can go for a thick border in one color, instead of two separate colours. 6. The white lace anarkali: Madhuri Dixit in her white salwar kameezs seems to be the inspiration here. 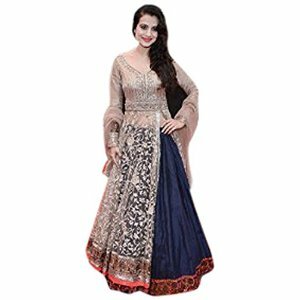 Considering that this anarkali is so simple and casual, you can opt for a material like georgette or net over satin so that you will get the gher you want. Add some silvery sparkles, and you are done! 7. The yellow and black layered anarkali: The trick in this look is the smart layering that the designer has achieved. If you don’t have a size zero body, you may want to choose a material that hugs your body rather than add volume to it. The embroidery is neither complicated, nor excessively time consuming. To tone down the bling effect of the anarkali, you can opt for simple black net sleeves, which will work better with the look. 8. 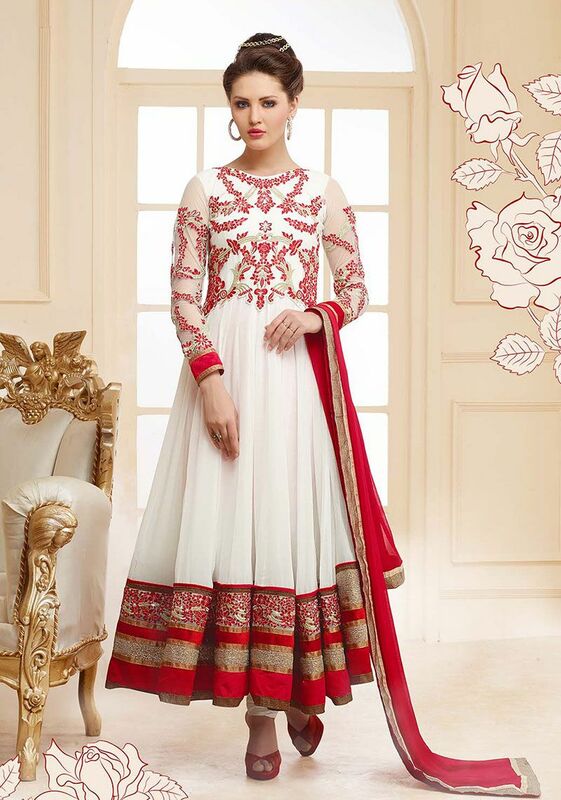 The red and white anarkali: It’s simple and elegant. The best part about this piece is the fact that it can be worn throughout the wedding day. From the ceremony to the reception, this anarkali will work perfectly. The white material is easy to get your hand on. The border is what pulls the eye, so go for a bold and thick deep red border, with some sprinkles of gold. 9. 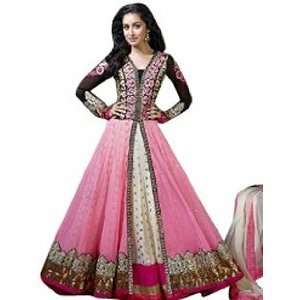 The black and hot pink anarkali: The best part about this anarkali is how simple it is. The gher is very small, and the tightly cinched chest part of the anarkali does not require excessive embroidery. Just find a print that works for you and keep it bold so that it requires lesser time. Pair the outfit with a lighter pink dupatta to add some contrast. 10. Gold and pink calf length anarkali: It’s simply beautiful and beautifully simple! This anarkali is the perfect pick for the sister of the bride or the groom. When you visit the tailor, just make sure that gold you pick is not very dull but not too bright, either. The gold balances the pink nicely, especially when it is used as motifs on the border. Even a bold and thick gold border will do, and for some extra effect you could add some deep pink velvet piping. There you have it! The best picks of designer suits which are just waiting for your own personal touch to become the best piece in the wardrobe.